Detecting a cockroach infestation as early as possible can help you eliminate them before they wreak havoc. The longer you let them loose, the harder it is to wipe them out and the more expensive your costs will be. Fortunately, there are different signs that can help you know if there’s a cockroach infestation somewhere in your home. This is a sure-fire way to tell that there is indeed a cockroach infestation in your home. The best time to hunt for roaches is during night-time as they are nocturnal creatures. They will usually scatter around when you go inside a room and turn on the light. Sometimes they will fly out of nowhere too. If you see roaches during the daytime, it means that you have a serious case of cockroach infestation. They usually hide during daytime, but if there’s already too many of them, lack of food sources and overcrowding forces them to go out. Dead roaches aren’t a sure fire way of telling that there’s an infestation, though there’s still a possibility. 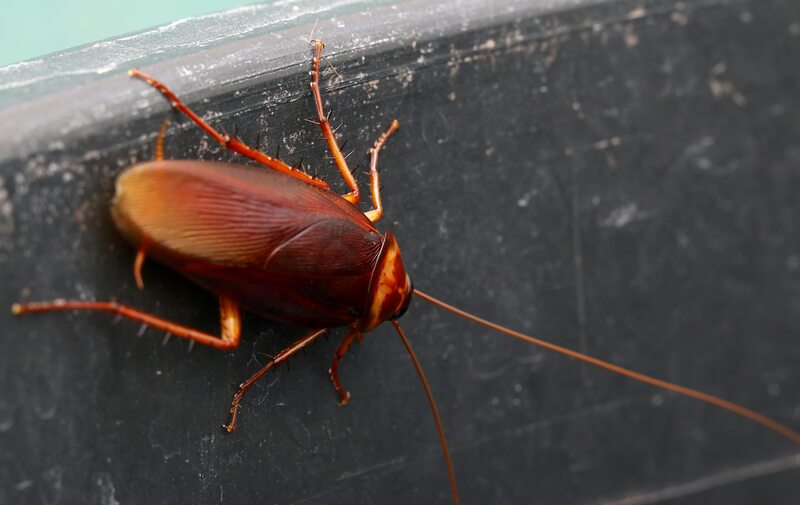 There are cockroach species that will produce an unpleasant smell. This can get worse the longer the infestation goes. Among the species of cockroaches, the German roach produces the worse smell of its kind. Dead roaches also produce unpleasant smell due to the oleic acid produced during decomposition. Roach droppings is another sure fire sign that will let you know that you already have an infestation going on in your home. Depending on the intensity of the infestation, roach dropping sightings can resemble anything from tiny specks of pepper to coffee grounds to oval pellets. If you can find a lot of cockroach droppings in a visible location, this indicates a large scale of infestation. Some places to look for roach droppings include pantry, cupboards, sinks as well as behind stoves and refrigerators. Once you’ve found an area with a lot of roach droppings, you know that it’s a high traffic zone for cockroaches, so try to cut-off any nearby food and water sources if possible. Once the infestation has begun, it will continue to grow because cockroaches are aggressive breeders. Therefore, there is a good chance that you’ll be able to find cockroach egg cases. Cockroaches don’t lay a single egg, instead, they produce oothecae. They are brown, oblong casings that contain multiple roach eggs. When the eggs hatch, oothecae are left behind and this is an undeniable evidence that there is an infestation currently in progress in your home and the bad news is that they are starting to multiply which could further the damage done. They can usually be found inside pantries, between cracks in the wall, inside drawers, books or other tight places.